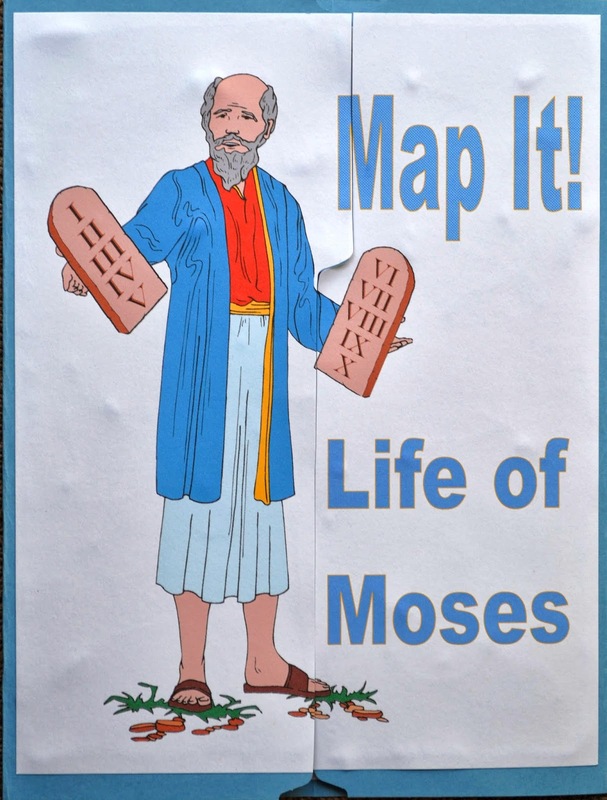 We will be using this file folder Life of Moses: Map It! each week for the entire Moses quarter. 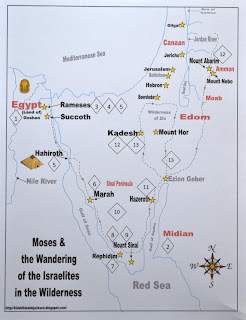 The map is not meant to be to scale, and basically I only added the places that will be in our lessons for Moses. Although, I did add a couple of extra cities for Jesus. Places that I added for reference, etc. are in gray. Cities are in black, countries are in red. Also note that there are a couple of places that are not at a positive location, so different maps show different areas where they are. I tried to keep it simple for early elementary grades. Also, I used the spelling from the Bible for everything (NKJV). There are some places with different ways to spell them, but again, I am trying to keep it easy for the kids to learn and keep it to the Bible. For these file folders, they are folded like a file folder game (FFG). Open it up and fold one side to the center line, making sure it is even across the bottom. Put a firm crease in when it is even. Flip it around and fold the other side toward the center line. Notice, one side has a smaller side. Use that on the RIGHT for this project. Any writing on the inside middle section of the folder will be covered with the map. You can see for the front cover, I laid the printed cover on the front file flaps, smaller side on the right and placed it where I wanted it. Carefully open one side and draw a line to cut. There are different ways to do this, so make and cut your cover the easiest way for you. Glue both pieces of the cover... smaller side on the right! I use Aileene's Tacky glue for my projects. For the inside, print and glue the map in the center, no cutting is needed. Depending on how you want to use this project, you can decide how you want to glue the sides. I cut out the 2 large pieces and just glued them as 2 pieces. 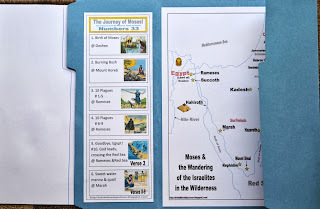 I have cut & glue workbooks for the kids to do, so I am using it just for the map. 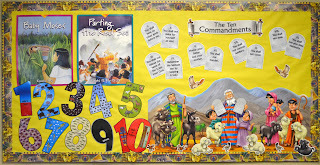 Each week we will look at the picture on the side, and place a sticker with a number for where Moses is in the lesson. They will also draw their own line for his travels. But, you can let the kids cut out each weekly box and glue them for each lesson. That will provide more discussion that way. Here is what the final map will look like for us. 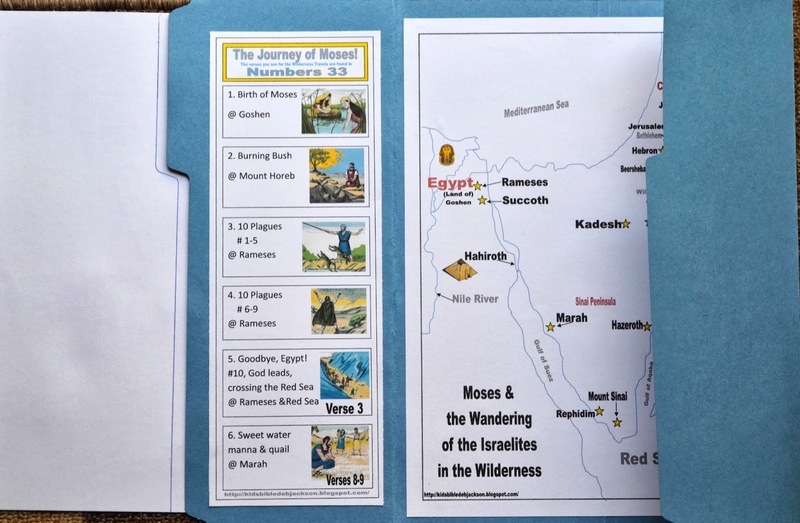 I have included the numbered diamonds for the weekly places to mark for Moses, but I will probably purchase some stickers and let the kids add the numbers, so there will be more color for them. If you use the printed diamonds, I suggest putting them through a sticker maker. I sent this next map to Staples because I wanted a super size copy for the wall! I ordered the largest engineering size that was available. It is a lot cheaper for black/white vs. ordering a poster size. So, here is the PDF and you have my permission to order yours. But, not my permission to add the link to your blog. Please send your visitors here! This is the bulletin board for this quarter. 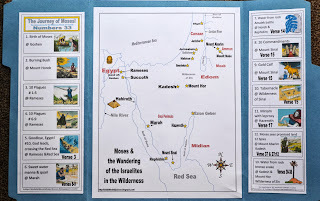 I found this Egyptian border at the teacher's supply store. 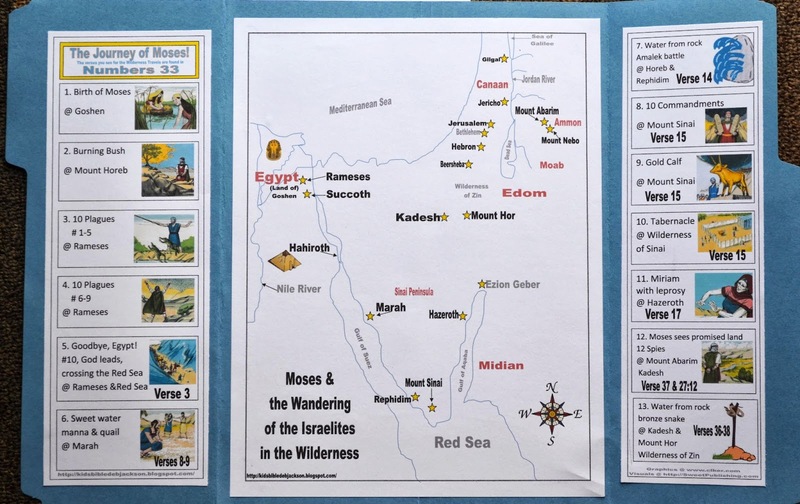 It is "Egyptian Hieroglyphs" by Edupress # EP532R.You can purchase the 10 plague numbers here. Wow! This looks great! I love mapping activities. For some reason, it makes things seem more real to me. Thanks for sharing! Thanks so much for stopping by! I appreciate the nice comment! Very cool Lapbook! I don't make many of these. It is great you put this all together. Thanks for stopping by! I really thank you for hosting the link up parties! The folder looks a great idea - you make learning so much fun. Thanks for the nice comment! I appreciate it! Thanks for hosting the link up parties! Wow, what a thorough approach to kids' Bible study! Thanks so much for sharing at the After School linky, Debbie! Thanks , Anna, for the comment! Thank you for hosting the link up party! I appreciate you stopping by! good innovative idea and something different from others.. I absolutely love that you share all this with us. Fantastically fun, age appropriate, and interesting lessons each week. I have taught this age group for 12+ years and your lessons far surpass any 'curriculum' out there that I've found. The folder is a good idea...once again thanks for sharing on the Thursday Blog Hop! Thank you Pam! Glad you stopped by! Thank you for hosting! Are you serious?? This is AMAZING! God Bless you for doing ALL THIS WORK to share so thoroughly and thoughtfully! So much work... The children at my church will definitely know God more because of what you have done here. Thank you thank you thank you! I'll be praying that you have the time and energy to continue your work on this site! Well, thank you! This is one of the nicest comment ever! It is appreciated! Glad you can use it. I appreciate you stopping by! As always THANK YOU for faithfully sharing on Theology Thursdays FOR KIDS!!! You have been a blessing to me! Great resources!! Thank you Jessica! I appreciate your comment! This is too cool. Just, wow. You rock, Debbie. Debbie, you have done a lot of work putting this together. Thank you for your effort. Thank you for helping me be more creative. Debbie, Thank you for all your work. You do a great job. I appreciate the effort it took to create all this. Thank you for helping me be more creative with my Sunday School class. 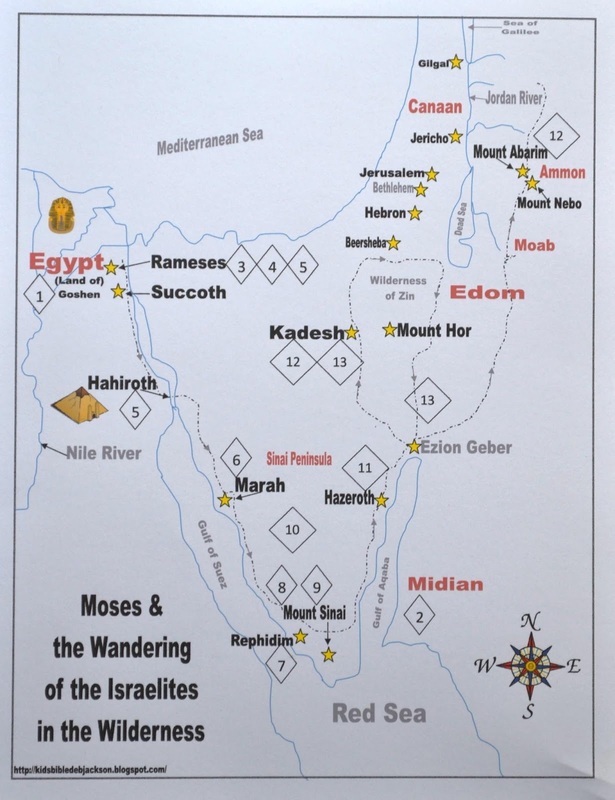 I sincerely appreciate all that you do to assist us in bringing to life the historical stories and messages of the Old Testament to the Primary age members. 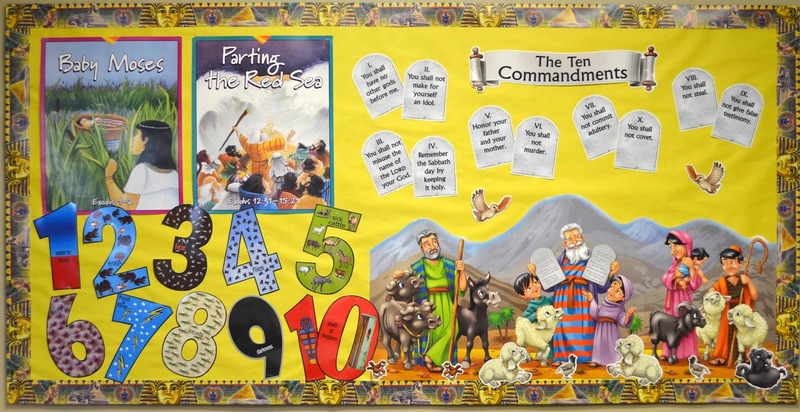 I am a visual learner as many children I teach are ------ they SEE/FEEL the message of the ancient writings and the Word of God with these ideas. Hi, I love this, unfortunately I've found this one too late, but I have used one of your other lapbooks. It is fantastic, and please be assured that one day you will receive that wonderful commendation "well done thou good and faithful servant, enter thou into the the joy of thy Lord" keep going - sometimes we feel that we're not achieving anything, praise God you are!! !